The purchase of American Airlines miles is now processed by American Airlines itself, meaning that you can use your Barclaycard Arrival Plus™ World Elite MasterCard® to purchase American Airlines miles and redeem Arrival miles to eliminate the purchase price. 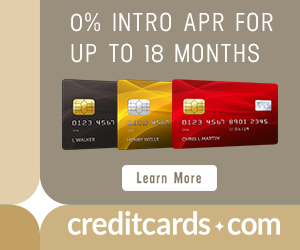 Or you can use a card that earns bonus miles on American Airlines purchases like the Citi® / AAdvantage® Platinum Select® MasterCard®, CitiBusiness® / AAdvantage® Platinum Select® World MasterCard®, or Sapphire Preferred, which all earn 2x miles on American Airlines purchases. 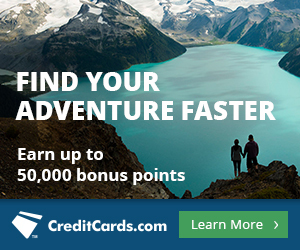 Previously purchases of American Airlines miles were handled by points.com, so you couldn’t redeem Arrival miles to offset a purchase, nor would you earn bonus miles for purchases of American Airlines miles because no card offers bonus miles for purchases from points.com. What is the proof that AA processes the miles purchases now? How can you currently buy 125,000 AA miles? Which other airlines and hotels process their own miles/points sales and which don’t? What will be reflected on my credit card statement when I receive my monthly bill? Is American Airlines charging my credit card? You can currently buy 125,000 American Airlines miles for $2,572 or 2.06 cents each, processed by American Airlines. You can also buy 125,000 US Airways miles for the same price, but processed by points.com. US Airways miles will become American Airlines miles early next year. Who Processes the Miles/Points Transaction? These airlines and hotels process their own transactions. That means you can buy their miles and points with an Arrival card and redeem Arrival miles to remove the charge, or you can get category bonuses for the airline/hotel purchases. Here is a post on buying LifeMiles with the Arrival Plus. All other airlines and hotels–as far as I know–sell their miles and points through third parties like points.com. So what is the cost to erase the cost of purchasing the AA points? I think you left out a crucial part of the puzzle in your piece. As it is written I am missing your point. Click the links on how Arrival mile redemptions work. The cost is $0 and 100 Arrival miles per dollar of the purchase price. But since you earn 2 Arrival miles per dollar on the purchase and are instantly rebated 10% of Arrival miles used, the net cost is 88 Arrival miles per dollar. Hang on. So lets say you buy 1000 miles for $35. How does 70 barclay arrival points “cancel out” the american airlines purchase? (70pts * .01) = $7 *(1.1) = $7.7… That’s it. You still pay $27.3 for 100 American miles in this case. I think this article is missing out on a serious math error. This is not about the 2 miles per dollar you earn on purchases canceling out the price. It is about REDEEMING Arrival miles to remove the price from your Arrival Plus statement. Buy iPhone 6 for free using the united mileage shopping mall !! Scott, ok I understand your comment – to cost is $0 if you have enough arrival miles. in the case of purchasing 125K AAdvantage you’ll need more than 200,000 arrival miles to get FREE points.